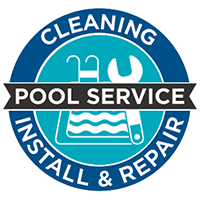 In addition to new pool sales, Clear Water Pools offers a number of services for existing pools, including additions, remodels, maintenance and repair services for home, subdivision, apartment, and commercial pools. We are a comprehensive pool service company. We build, clean, maintain, repair, and renovate our client’s swimming pools. Our expert designers will be more than glad to help you fix your pool coping, tile waterline, floor, or any filtration problems. Besides, if you want to do any significant changes in the design of your swimming pool, we can plan it and make it a reality. Clear Water Pools will work with you to remodel your pool within your budget. If your deck is cracked or worn, your pool plaster needs a facelift, or if you want to spice up the look of your pool with new features, Clear Water Pools can help.